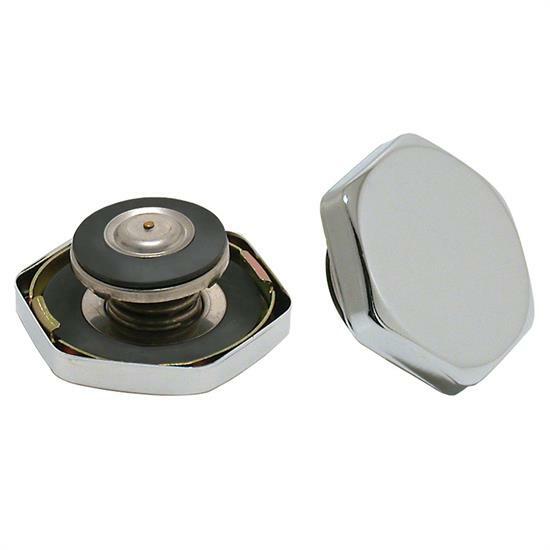 Spectre’s triple chrome plated steel Hex-Style Radiator Cap fits the majority of radiators requiring a 14-18 pound cap. This cap has been pressure rated for 14-18 pounds. Designed to perform as good as they look using high quality materials, Spectre’s radiator cap is engineered for optimum fit and function.